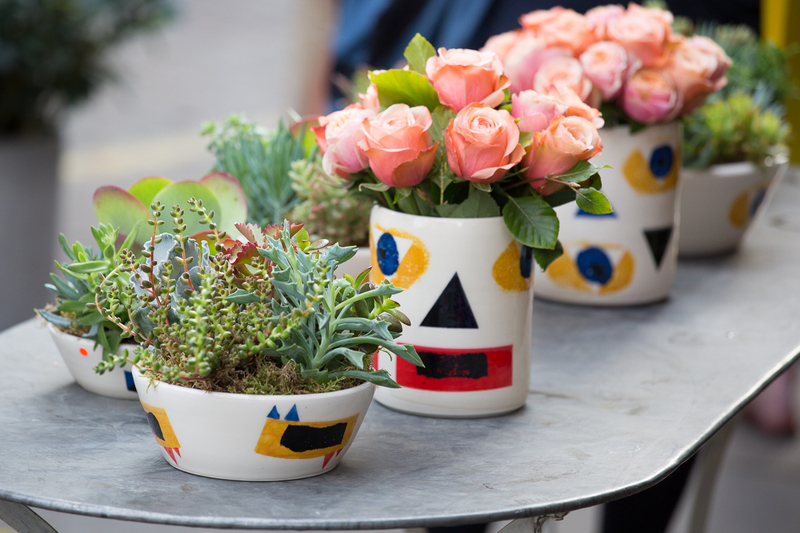 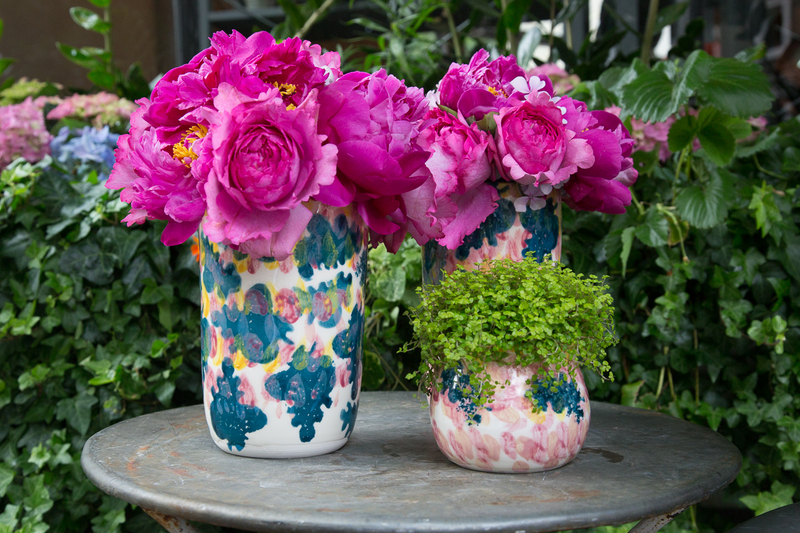 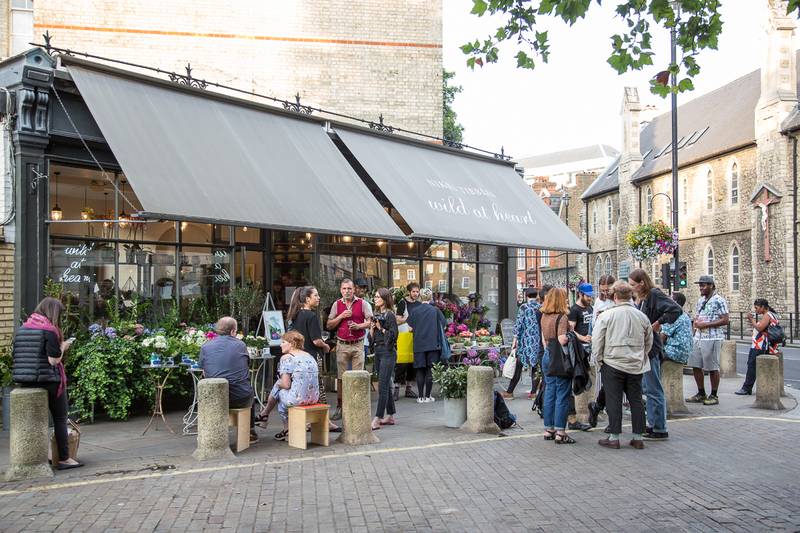 Launched in collaboration with Nikki Tibbles Wild at Heart, this ceramics collection comprises planters in three sizes and unique flower vases by Christian Ovonlen, Yoshiko Phillips, Philomena Powell and Clifton Wright. 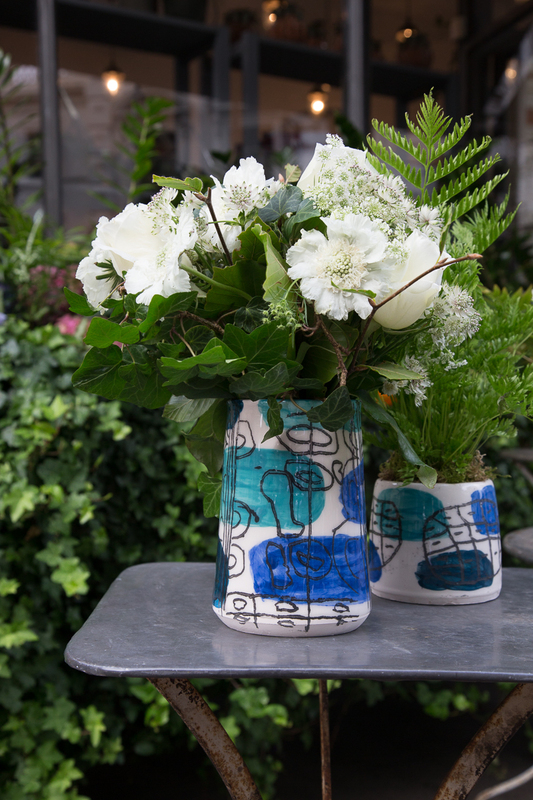 The artists drew upon their extensive visual archive to create a series of hand-glazed pots working with ceramicists Pip Hartle and Miray Mehmet. 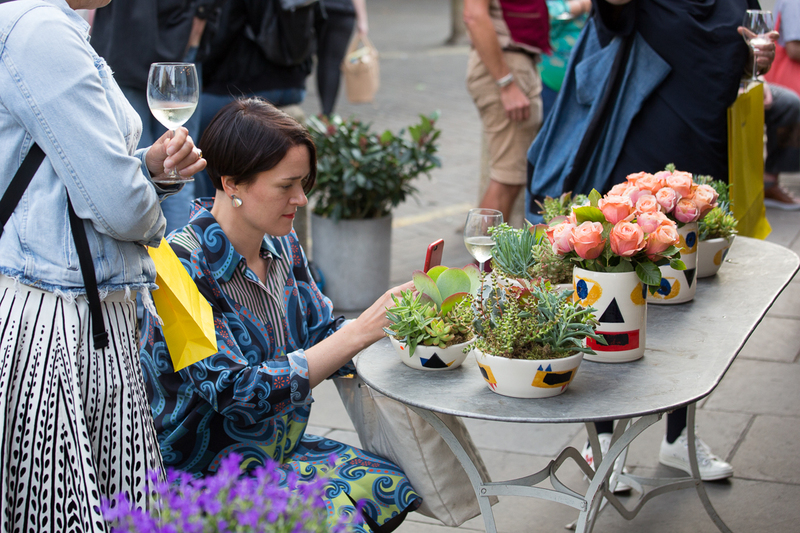 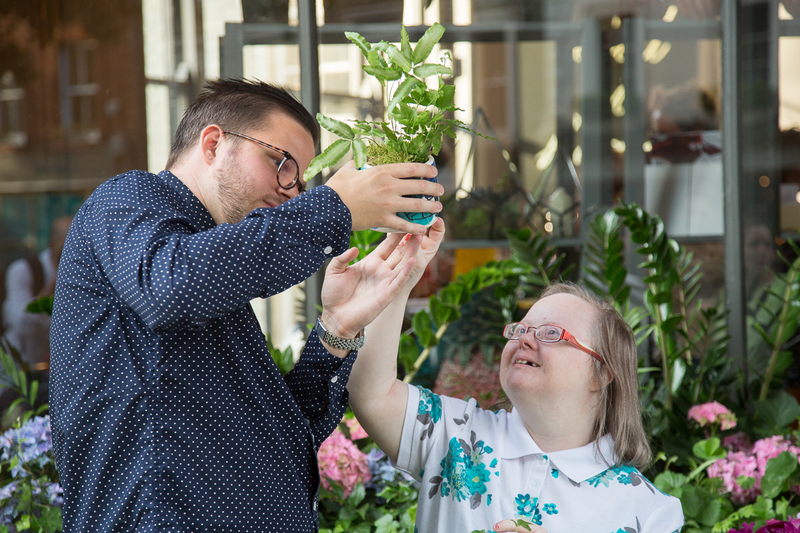 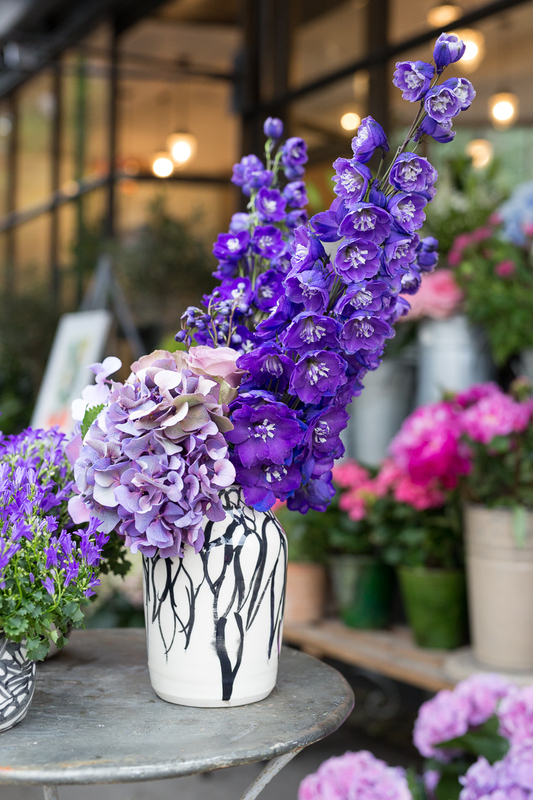 Florist Nikki Tibbles planted each of the forty pots using locally grown and seasonal planting, and arrangements of cut flowers for a truly luxurious finish to the unique vases.